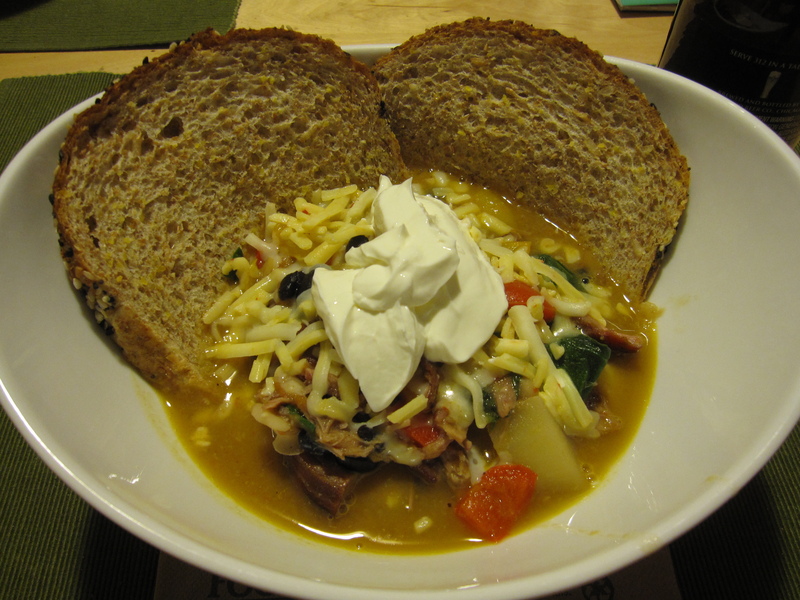 Armed with a full slab of ribs left from Honey 1 BBQ I threw together a chili-like stew. After sitting in the fridge for a day they did get a little dry. That deep smoky meat was perfect to use. 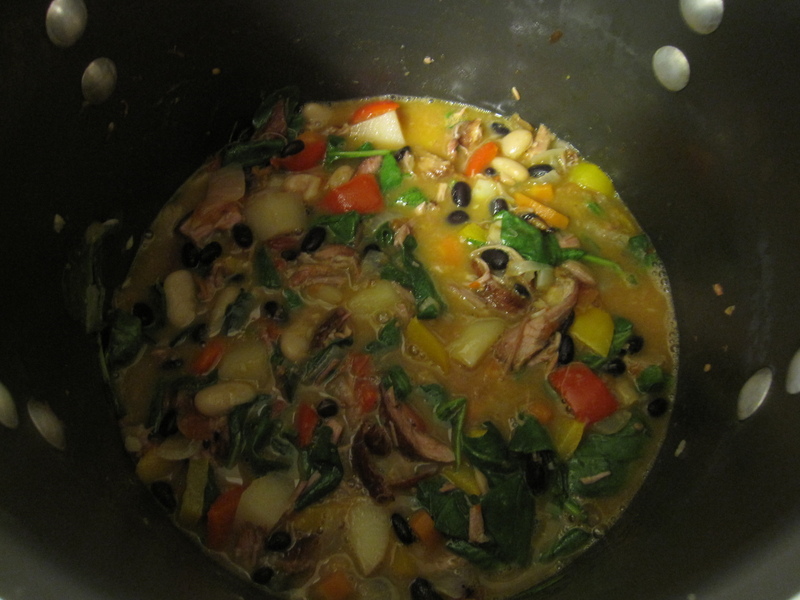 I chopped up 1 red, 1 yellow, and 1 orange bell pepper, 1 carrot, 1 onion, I minced 3 cloves of garlic, soaked 1 cup of black beans for 1 hour after boiling for 2 minutes, 1 can of white kidney beans, 4 ounces of baby spinach, shredded the meat off 1/2 slab of ribs, the bbq sauce that came with the ribs, and used 2 cups of chicken stock. 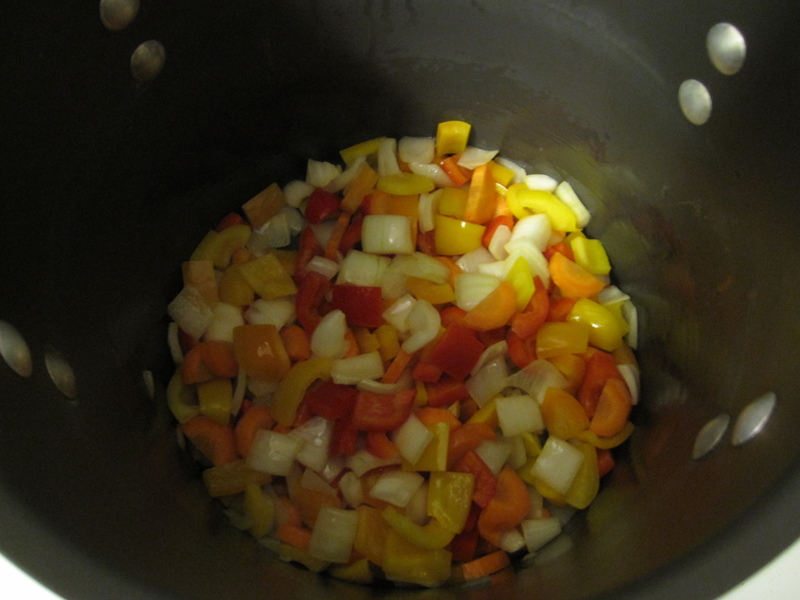 In my large stock pot I heated up some olive oil and then sweated the peppers, onion, carrot, and garlic for about 8 minutes or so. 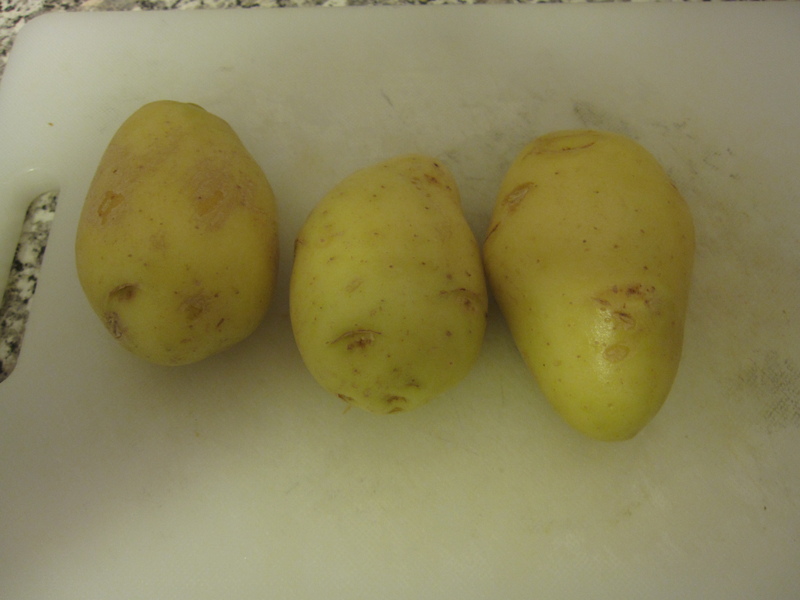 While that was going on I realized that I had 3 yukon gold potatoes sitting around. So, I skinned them, chopped them up, and added them to the pot. 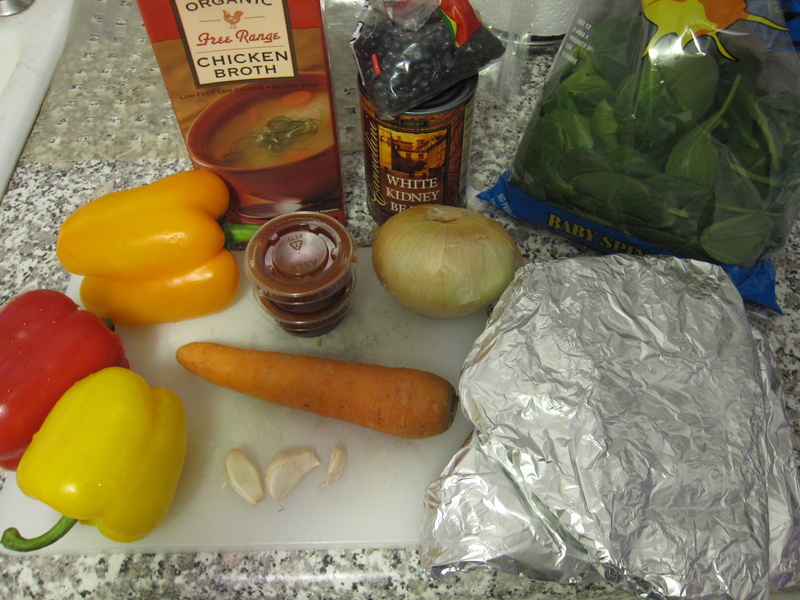 I let them cook for about 3 or 4 minutes before adding the chicken stock. 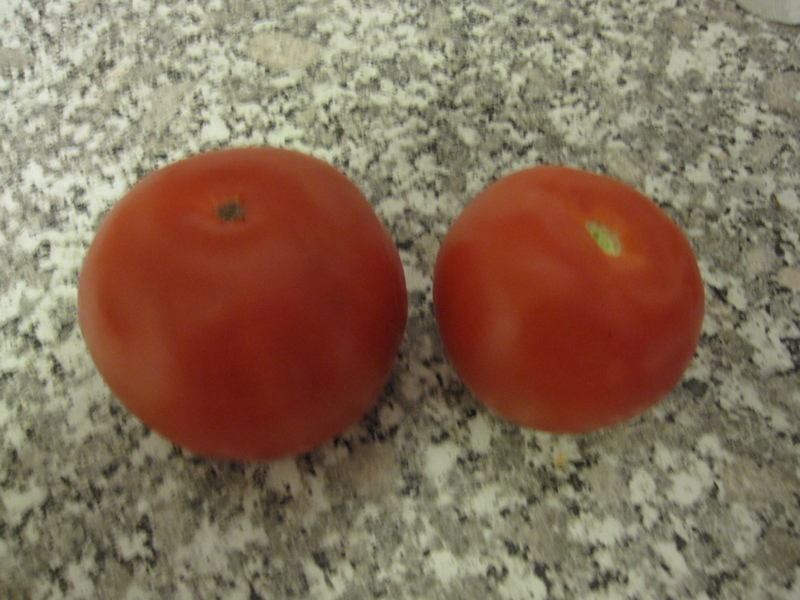 While the chicken stock was being brought up to a boil I noticed I had a couple of tomatoes. So, I chopped them up. When the stock came to a slow boil I added the tomatoes along with the meat and let that simmer for about 8 minutes before adding all of the bean and the bbq sauce. I turned the heat to med-low, covered the pot, and let it go for about 15 minutes. Right before serving I added the spinach and stirred it in until it had all slightly wilted. Then I turned off the heat and served it. I placed some toast in the bowl before scooping the stew in. Then I topped with some habanero-jack cheese and some sour cream. It tasted fantastic! I got 4 servings out of this and still have 1/2 slab of Honey 1 BBQ ribs left.